Graeme College enjoyed a fantastic weekend of cricket from 2-3 February, with their draw against Union in a rain-abandoned encounter being their only blemish. The Graeme First team took on Union High in a two-day encounter, while the Second team and U14 A sides took on Port Alfred High School’s First team and U15 A sides respectively. The junior teams also enjoyed a clean sweep of results against Woodridge, with the U13 A and B, as well as the U11 A and B teams earning victories. The GC Firsts were sent into bat first against Union in their scheduled two-day match, with the Makhandan side declaring on 213 runs for 7 wickets. Mornay Kohl and Siphesihle Madlongolwana were in control with the bat, each scoring 50 runs, with Madlongolwana ending his innings not out. Riaan Labuschagne added 45 runs of his own, with Cody Schmidt adding a further 35 runs to the team’s total; sending Union in to chase their solid target, as the clouds began to roll in. Union barely able to get off the mark before the heavens opened, scoring just 61 runs for the loss of 2 wickets. The match was abandoned due to the poor conditions with the result ending in a draw. Port Alfred High School First team bowled well against Graeme College Second team, but could not limit them to a chase-able total. Graeme’s Second team was more fortunate with the weather when they faced off against Port Alfred High School’s (PAHS) First team. Once again, Graeme went into bat first, posting a fantastic target of 257 runs in their innings. Sonqoba Makalima (46) and Ryan Bush (44) were the pick of the batsmen for Graeme, helping their side to the large target.  Port Alfred were washed away by the Graeme bowling attack, only managing to score 80 runs with their ten wickets. Asemahle Mbanga (4/14) and Aswyn Claasen (3/13) were phenomenal with ball in hand, and secured the 177 run victory for Graeme. 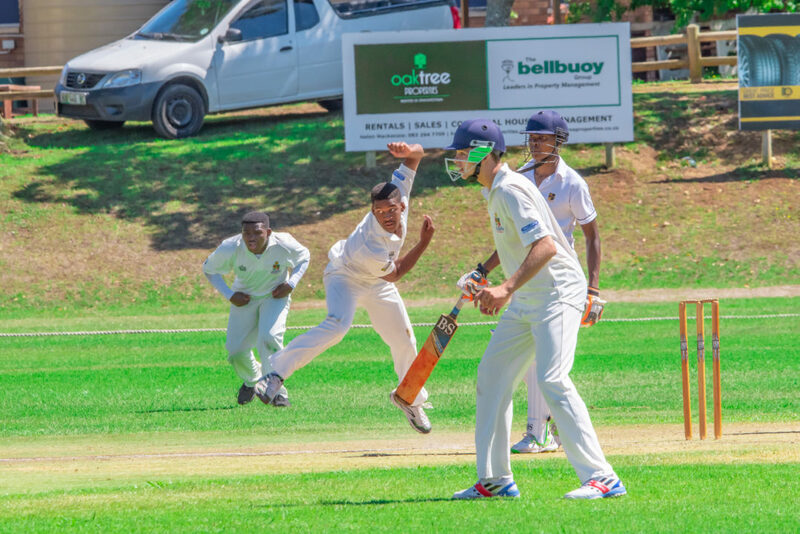 The youngsters from Graeme College completed their school’s dominance over Port Alfred, when the U14 A side won a close battle against the PAHS U15 A side by just 44 runs. Graeme managed to score 112 runs before they were bowled out, with Onosiizo Ntinga contributing the most with his 23 runs. A spectacular bowling spell by Christiano Jason, which saw him take 6 wickets for just 10 runs, lead the way for Graeme to bowl Port Alfred out for 68 runs. 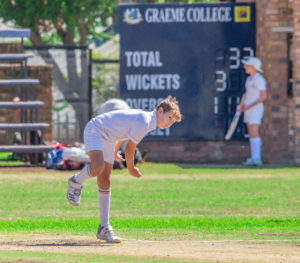 All of the Graeme junior sides enjoyed solid victories over Woodridge, with the bowling performance by the U13 A side being a particular highlight of the weekend. Woodridge College were outclassed by the Graeme junior sides, not being able to secure a single victory. Graeme’s U13 A side earned a massive 9-wicket victory over their opponents, after chasing down a 68 run target for the loss of just one wicket. Ashton Williams (6/22) and Murray Tyson (3/20) were magnificent and made it easy for the batsmen. The U13 B side followed up this victory with one of their own, ensuring a 116-run victory trough even more impressive batting and bowling. The U11 matches were equally one-sided, with the Graeme U11 A and B sides winning by 190 runs and 7 wickets respectively. Graeme U11 A batted first, with Iviwe Mshubeki smashing a fantastic 68 runs before being bowled out, setting up Graeme’s 246/9 innings. He was well supported by Keegan Jattiem (43) and Chris Zimmerman (31). The Graeme bowlers then took over proceedings, and bowled Woodridge out for just 56 runs. The U11 B match finished off Graeme’s dominate, with the Graeme U11 B team chasing down a 45-run target with 7 wickets in hand.